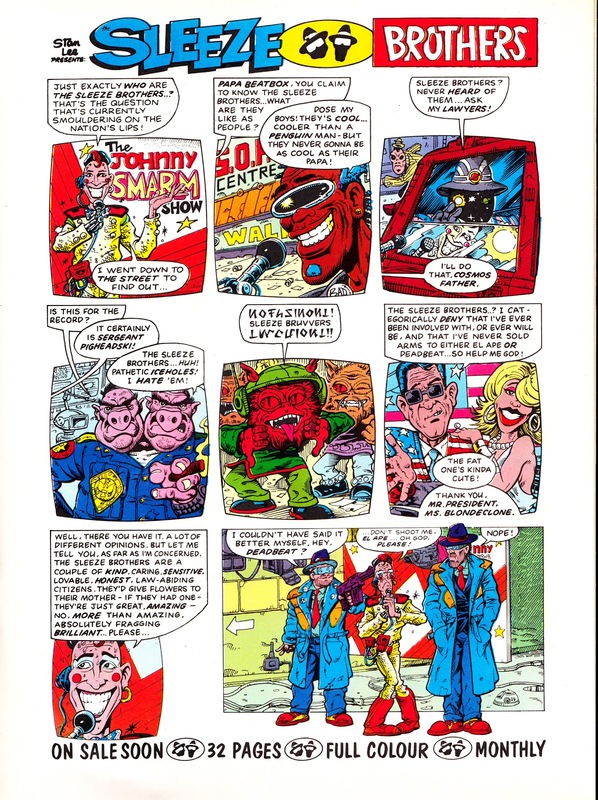 Here's a one-page strip used as an in-house advert for Marvel UK's early US-format comic THE SLEEZE BROTHERS (published under the Epic Comics imprint state-side) by John Carnell and Andy Lanning. The six-issue series appeared in 1989. Marvel UK did their best to promote the characters by also making them guest stars in the WHO strip, Follow That TARDIS!, published in DOCTOR WHO MAGAZINE issue 147 (April 1989).